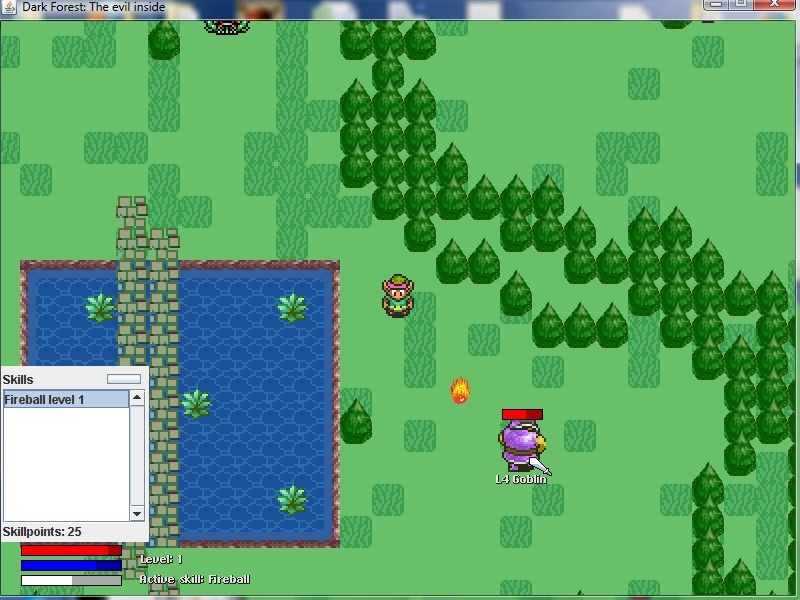 v1.0 (3.6 MB)A Multiplayer RPG created with six students in Java. Walk your way through 38 different maps, including towns, dungeons and forests. Monsters: 16 different monsters to kill, including one boss 'Freezah' and 'Doppelganger'. Skills: 16 skills to use varying from teleporting to summoning. Items: 21 items to equip or use. Several NPC's which all have their own stories. 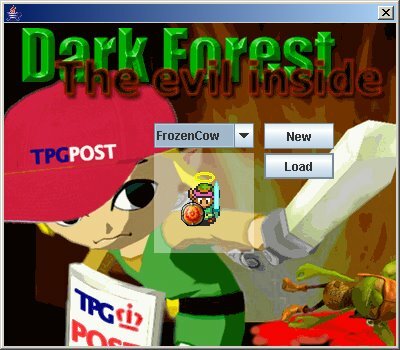 Quests where you can help NPC's get out of trouble. Multiplayer: Use all of the above features with a few friends over network or internet. 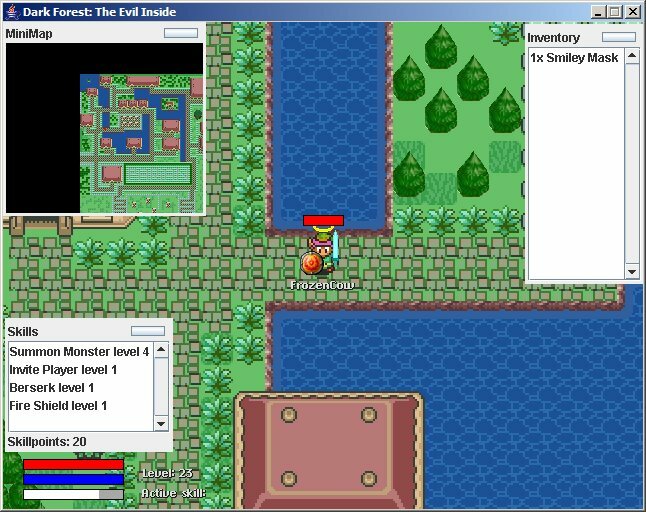 Sprites and sounds from Zelda, Pok�mon, Ragnarok and Unreal Tournament. 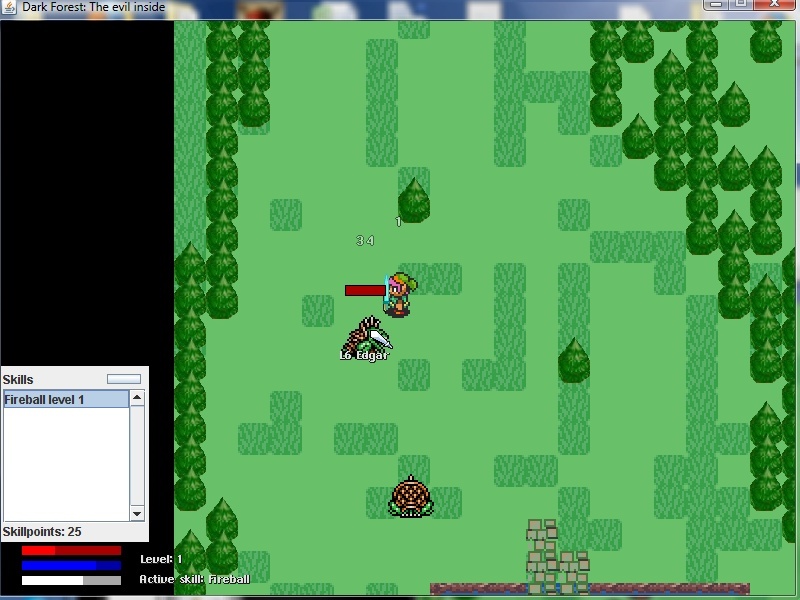 Graphics-system to render and animate the sprites and map. Item-system to pickup, use, drop, buy and sell items. Skill-system to use several skills varying from teleporting to summoning. Damage-system to damage the players and monsters. This also includes the damage indicator, showing how much damage is dealt. Several skills, including teleport, summoning monsters and beserk. Several weapons and items, including bows and headgears. The login screen where one can choose their character. Hitting the edgar monster with a glowing sword.